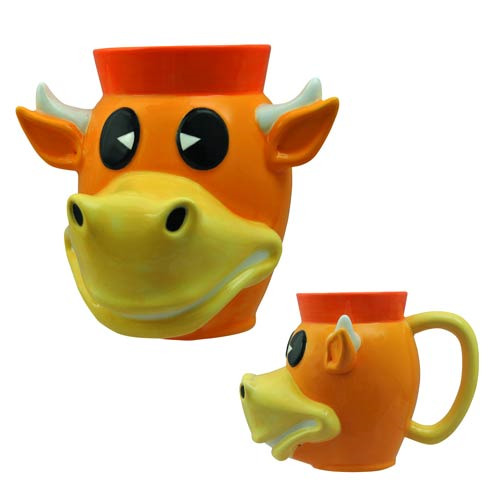 Get ready for a long day working at Mooby's with a drink... straight out of Mooby's head! The beloved fast-food mascot and children's television icon is now a 5-inch tall ceramic mug, perfect for hot or cold beverages. Use it for your morning coffee before your shift starts, or for warm milk as you drift off to sleep at shift's end. Comes packaged in a full-color box. Hand by wash only. For ages 14 years of age and older.